Will the SNP take the lead in coalition deal? East Renfrewshire could be set to announce its first ever SNP-led administration – but one heavily outnumbered by councillors determined to defeat it. That is the key prediction from one highly experienced local politician who argues the SNP’s election success, increasing their share from four to five seats, could prove a poison chalice. Menawhile, East Renfrewshire MP Kirsten Oswald says the result is in line with a tide of SNP victories across the country that will help to frame the shape of the looming General Election battle. But some will argue the nationalists’ strongest-ever local performance flies in the face of established local politics, and that the right to rule belongs to the Conservatives – even if the sums don’t give them a working majority. With just seven out of 18 seats meaning they would need the support of at least two more councillors, while the SNP and Labour’s total of nine councillors mean they could form a coalition administration. 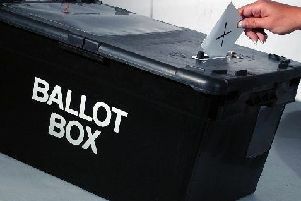 One highly experienced local politician said: “There’s an extra element to this already difficult situation, which is that we’re facing a General Election within weeks. “The Labour candidate is none other than Blair McDougall, who led the Better Together campaign in Scotland during the 2014 referendum. The area is used to political change, having within the last couple of decades switched from a Conservative council to a coalition which was led by Labour. Informed local opinion suggests that despite Labour’s insistence that they won’t work with the SNP some sort of “confidence and supply deal”, however rickety, may have to be agreed between the SNP and Labour. Meanwhile Ms Oswald, who Mr McDougall hopes to defeat in the General Election, is heavily playing up the qualified success of the council elections. She said: “The SNP’s insistence on putting local issues first was appreciated by voters in East Renfrewshire and across the country. “Five of our members won election in a constituency where voter turnout was much higher than in the rest of the country. “I am delighted that Tony Buchanan has been re-elected as Leader of the SNP Group. “I wish him and his fellow SNP Councillors every success as they work to form the first SNP-led administration in East Renfrewshire. The Conservatives, may naturally respond that they have two more councillors than their largest opposition, and that they represent greater stability than what would be an uneasy marriage of convenience between nationalists and unionists.